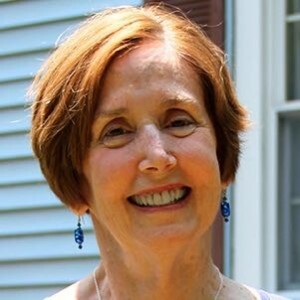 Jane Fox, a psychotherapist since 1979, enjoys helping individuals, couples, and teens reach their goals. She specializes in assisting her clients to overcome stress, anxiety, loss, relationship discord, and the emotional effects of living with life-threatening and chronic illness, disability, and pain. Jane’s approach to her work is collaborative, non-judgmental, positive and empowering. She places a strong emphasis in helping all of her clients become increasingly self-compassionate. Jane’s work has been highly influenced by her thirty-five years practicing and twenty years teaching mindfulness meditation. Mindfulness is paying attention, on purpose, to our experience in the present moment without judgment. It is deeply relaxing and healing for the mind and body. Click here to learn more about the benefits of mindfulness meditation from Jane’s class brochure. Click here to download one of her guided body-scan meditations in audio format. Jane teaches these transformative skills to appropriate clients, and to students in both her eight-week foundational and her mindfulness and self-compassion classes at Temenos. She also trains corporate, college, and community groups throughout the Northeast in this form of relaxation, wisdom, and profound kindness. She did a professional internship at the Center for Mindfulness in Medicine, Health Care, and Society at the University of Massachusetts Medical Center, directed by its creator, Dr. Jon Kabat-Zinn. Jane has advanced training in many areas including anxiety treatment, couples therapy, affirmative work with GLBT clients, family therapy, attachment therapy, chronic illness, addictions, trauma treatment, and Internal Family Systems therapy. Some of Jane’s career has included working with children and teens, first as a French teacher to elementary, middle and high school students, and until 2005 as a part-time counselor at De Masi Middle School in Marlton. She also worked at The Family Therapy Center of Northern Virginia in Tyson’s Corner, Virginia and at Genesis Counseling Center in Collingswood, New Jersey. Jane is one of the founding members of the Temenos Center where she has practiced since 1999.